‘A person that runs; especially in a specified way’… There it is the Google definition of running… If Google says it then that’s the truth surely? Do I run…? Yes, I think I do. Google definition for ‘run’: ‘move at a speed faster than a walk, never having both or all the feet on the ground at the same time.’ Well here comes the issue you see, how much faster than a walk does it need to be before it constitutes ‘running’? On the toughest of days I’d argue that, at times, I’m possibly going slower than I would at a walk, whilst maintaining the upper body motion of what I would constitute to be ‘running’ (with a pained look on my face which screams ‘I’m no good at this, I’m not cut out for this, why am I even bothering?!’). So yes, I ‘run’. But am I a ‘runner’? Hmmm. What is it about us, the ‘Oh I’m not a ‘runner’’ runners? Why do we do that? Imply that, because we aren’t necessarily out there pounding the streets or trails every day or gracing those well-worn and documented marathon routes annually or more so, we therefore don’t fit into the category of ‘runner’? Is it because we are the self-deprecating type who don’t like to talk about our achievements and feel a sense of embarrassment when we talk about anything we do (which we fear may, if we are not extremely careful, come across as bragging?!). Or maybe it’s because we see people on Facebook or Instagram posting about their most recent successes out there in their trainers and very expensive running wear and accessories and think ‘Oh god, my run was only half that distance this morning, therefore may as well be obsolete’? Does it really matter how far we go? Or is it more about how far we feel is our limit? But my mind-set has changed. 26.2 isn’t for me I stand by that, not because I don’t believe it could do it, because you know what? I am sure that with long term commitment, and self-belief and a shed load of pasta, maybe I could do it and join all those amazing folk who I truly do admire in saying ‘I have run a marathon’. It’s just, I don’t want to. Running that far just isn’t my thing. But running? Yes you know, I’d say that is my thing. You see, over the last 4 months I have realised I am cut out for running. I have banished the idea that ‘if it’s not over 3 miles it doesn’t count’. I have realised that some days, you just don’t want to go out – and that’s ok. I have reached a state of zen when I see someone on social media telling me all about their running stats and how much better they feel about their life because they’ve done it (again…). I am happy for them, why compare? What does it achieve? I have realised that anyone can be a ‘runner’. Because the ‘specified way’ (I love that part of the definition – what does that even mean?!) can be any way you like. Any pace, any time, any attire, any music (or not), anywhere, any company (the best is the sound of your own two feet sometimes) and any distance. Because it’s not how far you go, it’s just that you do go. 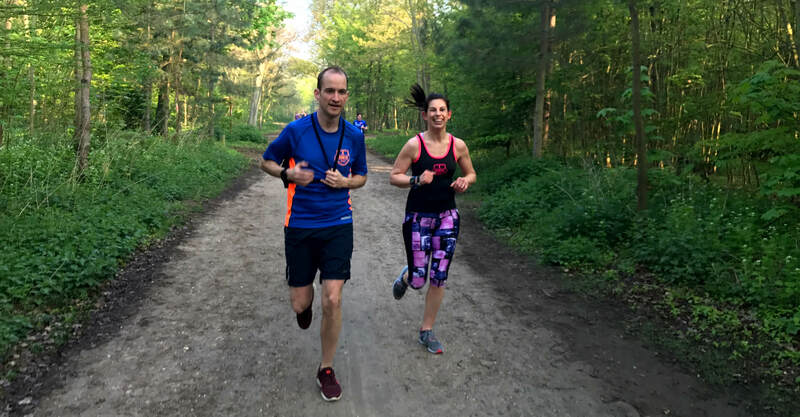 I enjoy ‘going at a pace faster than a walk and I enjoy the feeling afterwards even more, and when I have that feeling it makes me want to go again. We can all be the person ‘that runs’, and that ‘specified way’ can be whatever way we like. Once we realise that, that’s when we become ‘the runner’ and I believe there’s a ‘runner’ in us all. ← Last shipping before Christmas!